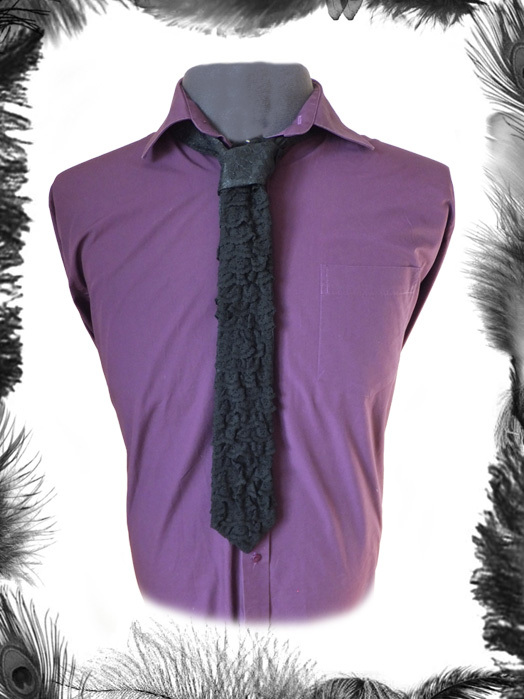 Black Frill Ruffle Lace Tie. Many Layers of gathered lace frill down front of tie with plain lace at bottom/back. 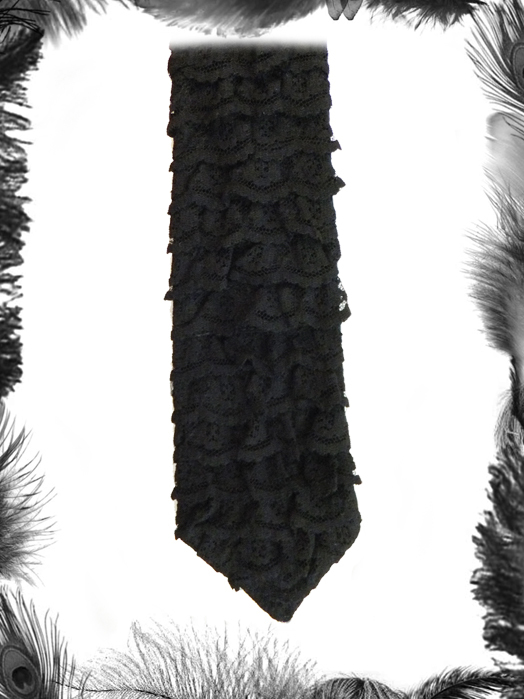 This gives a contrasting lace on tie know - see pic.